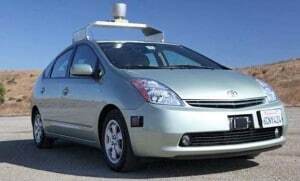 Will Google Start Selling Autonomous Car? Google is running a fleet of autonomous Prius hybrid test vehicles and has already clocked over 200,000 hands-free miles. It has built its fortune helping Internet users navigate their way through the Web, but Google’s next big act may be helping commuters navigate their way to work – hands-free. Officials from the Silicon Valley giant have been quietly meeting with their automotive counterparts hoping to take the next step in a pioneering research project aimed at developing a road-ready autonomous car. The technology has long been the stuff of science fiction but is rapidly moving towards the point where it could be incorporated into a real production automobile. Might Google be ready to go into the car business? The company is signalling that’s not a path it wants to take. As rich as it might be, the car business is a fast way to take a large fortune and turn it into a small one if you’re not successful. If anything, Google would like to team up with an automaker – perhaps several – to see its technology go into production as soon as possible. Its small fleet of modified Prius hybrids has already logged about 200,000 miles of hands-free driving – though Levandoswki admits it will likely need quite a bit more before the first autonomous vehicle rolls into your local dealer showroom. Indeed, even today’s most conventional vehicles routinely clock as much as 5 million miles or more of field testing before they’re officially ready for production. And there will likely have to be a variety of steps taken to authorize the use of an autonomous vehicle by the average motorist. But the process is beginning. Nevada – where a lot of preliminary testing of the technology has been underway – recently became the first state to pass specific legislation governing the use of autonomous vehicles. Among other things, a specially licensed driver must still be sitting behind the wheel ready to take over, if necessary. You can’t be sitting in the back, working on your morning Powerpoint presentation. And even if the vehicle is doing the hard work that human backup will still be barred from drinking. Meanwhile, David Strickland, the head of the National Highway Traffic Safety Administration, says the federal agency is now preparing to step in – a move that would help establish the necessary federal regulations. Insurance companies will also need step in. But several have already signaled that they’re ready to support the right technology, betting that it can actually deliver a big improvement over what humans do behind the wheel. The trade group, the Insurance Institute for Highway Safety, has already given its stamp of approval to several less complex systems, such as Volvo’s City Safety, which can automatically bring a vehicle like the S40 to a screeching halt to avoid a potential collision on urban streets. “We’re talking to every company to see what their level of excitement is,” said Google’s Levandoswki. “Significant” is likely the answer Google is getting from many manufacturers. Volkswagen has been an active proponent, as have BMW and General Motors, among others. GM’s Cadillac brand is taking the lead, field-testing a technology it calls Super Cruise, that can do almost anything a human can — “under certain optimal conditions,” it cautions, meaning its own technology is not quite ready for the street. Google is positioning its technology as all but road-ready and hoping that GM or some other maker will want to play a game of technological leapfrog. It wouldn’t be the first time. Traditionally, automakers were loath to reach outside when developing technologies that could give them a significant competitive advantage. No longer. Today, they simply don’t have the in-house resources to do it all. Outside suppliers have done much of the heavy lifting on systems like Volvo’s City Safety, on radar-guided Active Cruise Control and on other semi-autonomous technologies. And automakers aren’t limiting their alliances to just traditional automotive suppliers. Ford got a significant head start in the expanding world of onboard infotainment by turning to Microsoft for help developing its popular Sync system. GM, Ford, Daimler, Volkswagen and plenty of other makers have been establishing research centers in Silicon Valley to tap the resources of California’s high-tech capital. Could they turn to Google for its autonomous driving know-how? “The most important thing computers can do in the next 10 years is drive a car,” said Levandowski. And Google is betting that as that day approaches manufacturers will scramble to find partners who can make it happen as quickly as possible. This entry was posted on Wednesday, May 2nd, 2012 at and is filed under Automobiles. You can follow any responses to this entry through the RSS 2.0 feed. Both comments and pings are currently closed. I really hope this pans out. Ten years is about the time I will have to give up driving because of age and that is something I am NOT looking forward to. This would be the answer for me and many more not wanting to lose our independence. Based on the driving I see every day, a lot of much younger drivers should also be handing over their licenses.